Operating a network efficiently directly improves uptime and security too – so it’s a three for one winner. On top of that, operational efficiencies are an annuity that pays dividends year-over-year – thus monetary savings pile up exponentially. And best of all, operational efficiencies, network reliability and network security are often personal key performance indicators for IT staff and can help boost careers, annual bonus and salary increases. 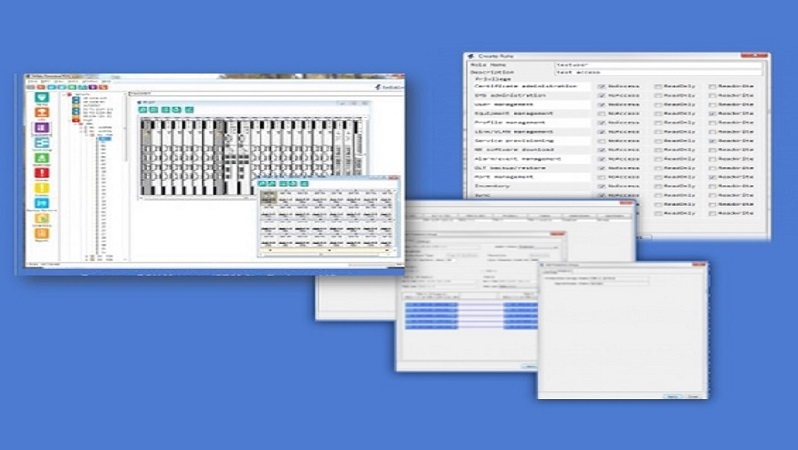 3 Easy access of Panorama PON Manager from desktop, laptop, tablet, smart phone or the cloud. First, let’s dive into the Tellabs Panorama PON Manager newly improved SR30.0 modern color schemes, fonts and icons of the Tool Bar. The new look and lay-out streamlines profile management and helps speeds configuration and navigation between profiles. This is where you can quickly navigate to the User Management, Ethernet Profiles and PON Protection Group Management functions.